Anyone who has ever tried to cut out junk food will be able to tell you that it is not so easily done. You make the decision and then the cravings start. In our heads, we know that these foods are not good for us but our brain, or some region within it, seem to think differently. There are those that have no such issues and control whatever they eat. This article is not for them. This article is for you if you cannot seem to control what you eat, no matter how hard you try. There are those who will say you lack determination but that really isn't even part of it. The truth is that we have a reward area in the brain - stimulate this area and you feel good. Junk foods do just that. In fact, sugar has been studied to see if it has the same effect on the brain as addictive drugs do. It can potentially be that if you are predisposed developing an addiction, junk food might become your drug of choice. It is the reward center in the brain that encourages us to do the 'right' things to survive. Since eating is vital to survival it can stimulate this part of the brain. And this leads to the release of a number of chemicals that make us feel good (dopamine, for example). Your brain is also designed to replicate that feeling and will actively seek out foods, etc. that stimulate the reward center. When it comes to junk food, this is a serious problem - junk food creates an intense reaction in the reward center - one that you cannot get when eating natural foods. Take a great steak dinner for example. You feel some enjoyment but it's be mild enough so that you could stop eating when you are full. Now take a look at a piece of chocolate - not so easy to just stop at one piece is it? Just like any addiction, repeated indulgence can lead to a tolerance developing. Basically what happens is that the body tries to balance the amount of dopamine produced by reducing the number of receptors. 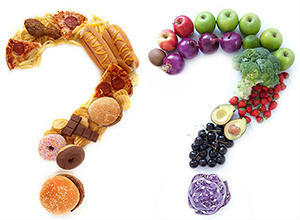 What then happens is that you need to eat even more junk food in order to achieve the same 'high'. The problem is that the fewer receptors you have, the less sensitive you are to dopamine's effects. This means you'll begin to feel unhappier when you don't eat junk food. This is nothing short of withdrawal. Tolerance and withdrawal together point to a much more serious problem - a very real addiction to junk food. Numerous research projects using rats as subjects have proven that junk food is very addictive. The process is more complex but this is basically how it works. When your body craves something, it is not necessarily due to hunger but more because it is looking for the right reaction. We tend to crave junk food because it makes us feel good. Cravings can strike suddenly, seemingly for no reason. It could be something as simple as watching TV or reading a book. We need to understand that they are generally triggered by prompts. Perhaps you see a picture of ice cream or walk past the pizza parlor - that can be enough to get the craving going. Another type of prompt is from an emotional event. Whether you are feeling sad or simply tired, when eating fills an emotional need it is called 'emotional eating'. A craving, in actuality, is never about nourishment but is about getting more dopamine. And this kind of craving makes it hard to think about other things. There are some diet supplements on the market that not only aim to help you lose weight, but also work to stop this emotional eating. Cravings in and of themselves are nothing unusual - most of us have had them. The common advice is to ignore a craving for 15 minutes and it will go away but that is not the case for a food addict. That craving is bound to stay in place until the need is satisfied. If you find yourself completely unable to resist the cravings, you may need outside help. People who are real addicts find themselves powerless to overcome cravings - no matter what their original motivation was. It is when you do satisfy the craving that the trouble can really start - you get the reward from the dopamine that you are looking for and that can be the start of a binge. The problem comes when this becomes cyclical and is repeated over and over again. The brain learns that, as long as it "nags" enough, you will give in and the cravings become even stronger. The next time you give in to the craving, you will need more of the food to satisfy it and so on. That is the reason why eating just a small amount of junk food does not work for addicts. It is the same as a smoker saying they'll just have one cigarette a day - it will work for a little while and then they'll give in. Even though they have cut back, they are still an addict. Just like with any other addiction, the person going through it is not just putting their physical well-being at risk but their mental well-being as well. Over time food addicts tend to become more secretive about what they are eating and to develop problems with self-esteem and depression. A big part of that is that most people think that they are simply lacking in willpower - a theory compounded by common "wisdom". They may not understand that this is a real, physical addiction. There really is no simple solution. 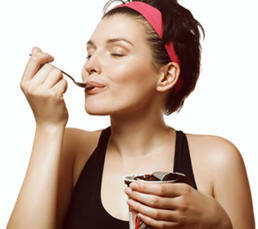 While some might simply be able to cut back on the junk food, the addict needs to abstain from eating it altogether. You might not be able to do this yourself either - you should consider getting some professional assistance. You could go the formal route and see a psychologist or psychiatrist. Alternatively, a group setting like Overeaters Anonymous might be a good idea.